This project came from two sources of inspiration: our love of suprematist graphic design and reclaimed wood. 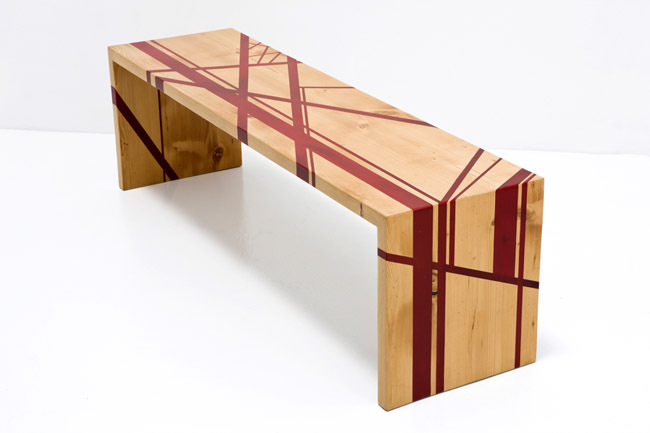 We designed a series of interchangable graphic patterns and inlaid it into reclaimed 1920s douglas-fir. The stripes are machine routed into the wood and then filled with tinted resin and hand finished. 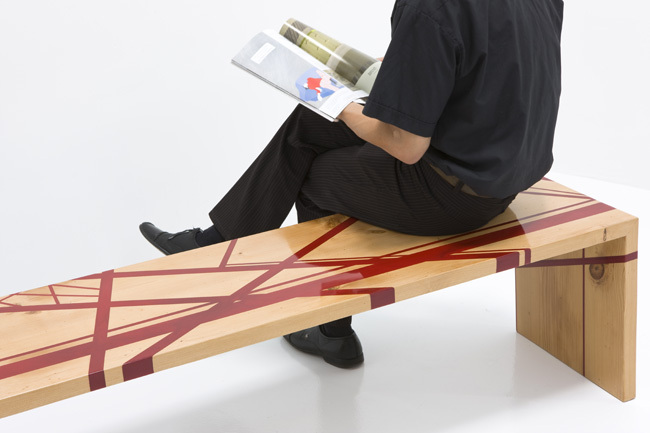 Each bench is unique in its pattern and color combination. We are now distributing the benches in a limited run with select color and wood combinations. Contact us at: info [at] yehstudio dot com to order one.